This item in the Worcester City collection comes from Northern Canada, Alaska or Greenland. 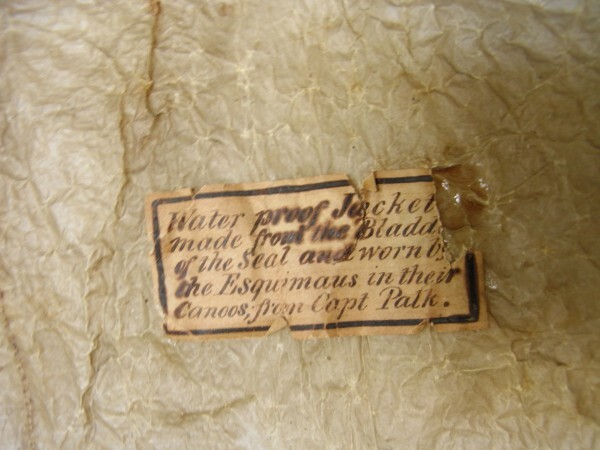 It was a waterproof outer coat for use in a kayak and was made from seal intestines. 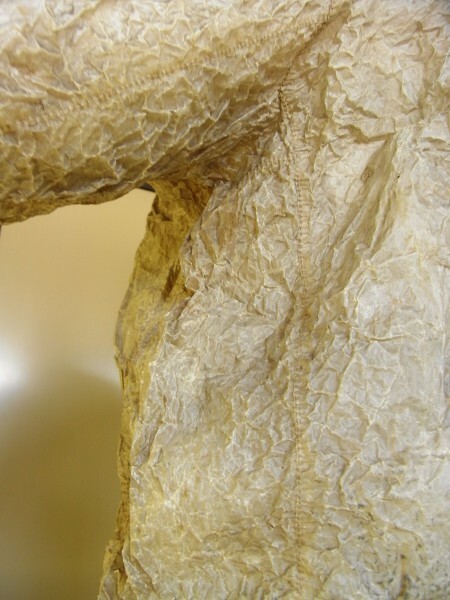 Women sewed these parkas from untanned strips of dried seal gut, using sinew thread. It took the intestines from one of two seals to make each garment. They made the seams waterproof by joining the strips with folds and stitching that did not entirely pierce through the material – a little like taped seams on Western waterproofs. The parkas were kept moist to keep them pliable; a gut parka could be rolled into a small bundle for easy carrying on hunting trips. To keep dry, the wearer could tighten drawstrings on the parka’s sleeves and hood. He tied the bottom of the parka around the top of his kayak, to keep rain and water splashes from getting him wet. 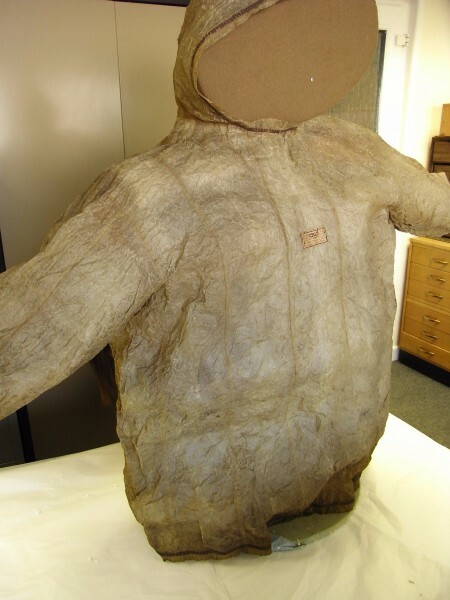 An active hunter would get through two or three parkas a year – although waterproof, the gut fabric is delicate. This parka is over a century old, brought back to Worcester by a traveller as a memento of their trip. The traditional craft of making parkas from seal gut continues today in some Native Alaskan communities.